Is this really the best of Madison? I base a lot of my dining decisions on Madison Magazine’s Best of Madison results and those results have never led me astray; until today. The Pancake Cafe in Fitchburg has been voted Best Breakfast in Madison every year since 2003 so I was very excited to go with some friends this morning. I’ve been here before but only gotten a to-go order and never gotten anything other than their amazing cinnamon rolls the size of Texas. Based on the amazing-ness of these cinnamon rolls the food should have been amazing…guess not! I did not get breakfast but based on what everyone else got at the table and the pictures on the menu I didn’t actually miss anything. I got the tuna melt, which was a traditional diner tuna melt. It was made with mayo and had a slice of cheddar cheese. The bread was way to greasy for my taste and if the cheese hadn’t been an awkwardly bright yellow I probably wouldn’t have even known it was on there. The saving grace of the dish was a slice of tomato and lettuce on the side of my plate. I peeled my sandwich apart and added those to the sandwich which really cut the grease. Thankfully one of the friends I was with gave me her lettuce and tomato so I could have them on both halves of my sandwich. The french fries were disappointingly dry and tasteless. The grilled cheese a friend got (and got charged for a ham and cheese melt even though she didn’t get the ham) looked luke warm and not at all melty enough to justify a good grilled cheese. The cheese burger (be careful, they charge $1 for cheese! ), crepes and chocolate chip pancakes looked ok but nothing to rave about. Another friend got a ceasar salad and was given a plate of warm lettuce with dry chicken and no dressing. Other items on the menu I was considering but opted against were the eggs benedict (the picture showed a congealed, greasy mound of hollandaise sauce atop a very small piece of ham) and the homemade corned beef hash and eggs (wasn’t 100% convinced it was actually homemade…the canned stuff is nasty!). As for the restaurant in general it looks like a newer version of a Perkins with tan walls and mauve accents. The decor is reminiscent of something a grandma would buy and there’s a random fireplace right by the entrance. Our service was lacking to say the least and I don’t think I was the only one in my group who noticed the hostess’ weird attitude about splitting up our check. Bottom line: I think I’m safe in saying that none of us would rate the Pancake cafe best breakfast in Madison. I would recommend avoiding everything on this menu other than their amazing and fantastically tasty cinnamon rolls (Seriously, if you haven’t had one of these cinnamon rolls you need to do that like right now! You’ll thank me when you’re driving all the way to Fitchburg for a cinnamon roll you say you’ll eat over a couple of days but you’ll devor in a half a day and then realize it probably contains your total calories for a week. I know I thank my friend Hilary for introducing me to it’s amazing cream cheese frosting!) If you’re looking for a breakfast place in Madison I suggest The Original Pancake House (their corned beef hash is homemade! ), The Sunroom Cafe, or Monty’s Blueplate Diner! Prairie Cafe and Bakery in Middleton. On my days off I usually plan out my errands and other things I need to get done but this last Tuesday I had a couple things to do and places to stop but nothing was planned. So when I drove past a cafe on the way to the bank that I had never seen I decided to stop. 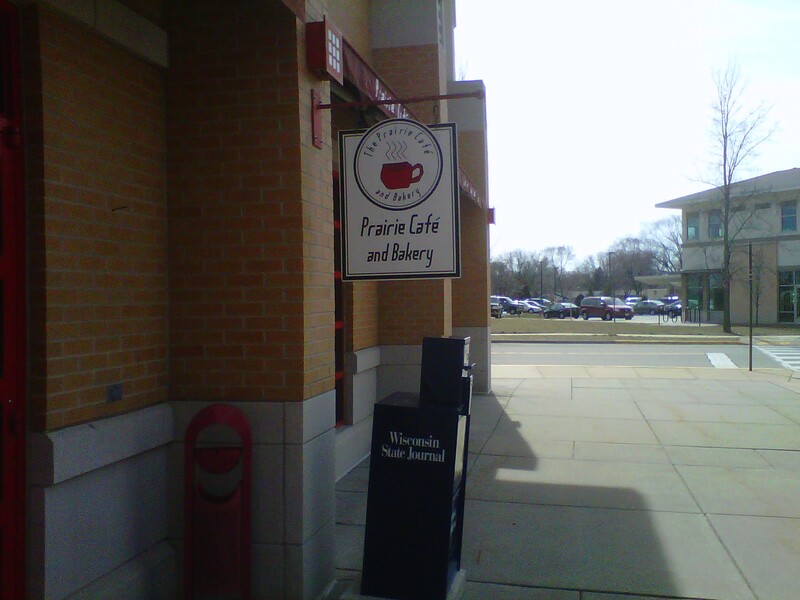 The Prairie Cafe and Bakery sits in the corner of an office building in a new subdivision on the north side of Middleton. According to their website they’ve been open since 2000 and is called “the meeting place” for people in Middleton Hills (the subdivision). The building is very industrial which doesn’t usually lend itself well to good hometown cafes but once I walked in and saw the local art on the walls and a group of women cross stitching I had more faith in the meal I was about to get. There was a little pause in my ordering process because they only take cash or check (not posted anywhere that I saw but thankfully my bank was a block away and it was nice out!). 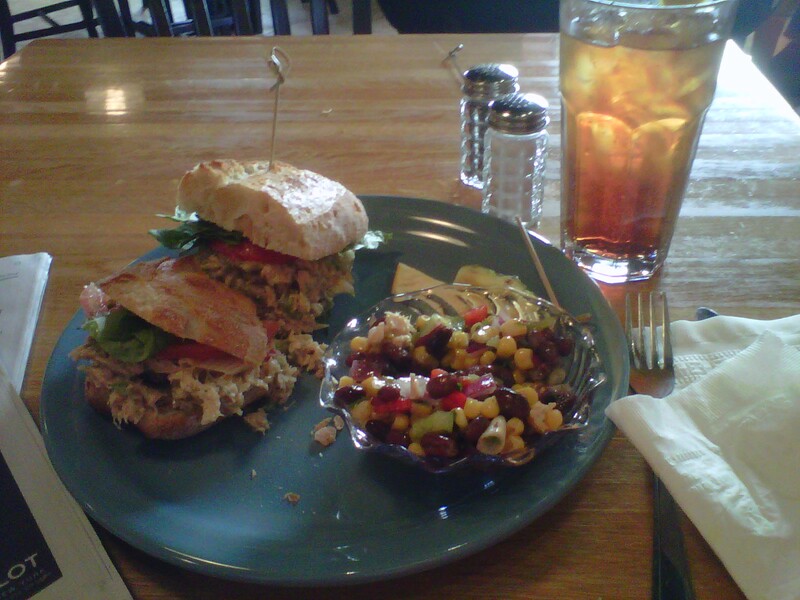 So after my ATM walk I ordered their tuna sandwich with black bean and corn salad, and a raspberry iced tea. For being noon on a Tuesday the place was packed with groups of people, people grabbing to-go orders, and people who had created little mobile offices with laptops, headphones, and stacks of stuff. I was definitely expecting something quieter but atmosphere would be great for reading or chatting with friends. My raspberry iced tea was the perfect combination of freshly brewed iced tea and raspberry flavor! The tuna sandwich was an interesting variation on a normal tuna sandwich with it’s lemon vinaigrette, bell peppers, olives, and chunks of potatoes and eggs. I could have done without the chunks of potatoes and eggs but the lemon vinaigrette was so fresh and light that it made up for the heavy additions to the tuna mixture. The baguette was a little too crusty to eat tuna salad with (I usually prefer a softer bread for tuna because the crustier the bread the more mess you make while you eat it) but the sandwich as a whole was delightful! The black bean, corn salad was good but I couldn’t help and wonder if it came from a container. The dressing was flavorful but oily, too liberally applied and almost too mixed together which made me think the dressing came from a can. Either way, it was a good compliment to my lemony tuna sandwich. Bottom line: The tuna was an interesting and delightful variation and I look forward to going back for breakfast (I really hope their corned beef hash is homemade!) and to trying their ultimate grilled cheese! The atmosphere was great with the local charm complimenting the industrial feel of the building very well! Don’t forget your cash or to try their freshly brewed teas! While people in 10 states were voting in presidential primaries I tweaked two magazine recipes to make two super healthy and tasty soups! 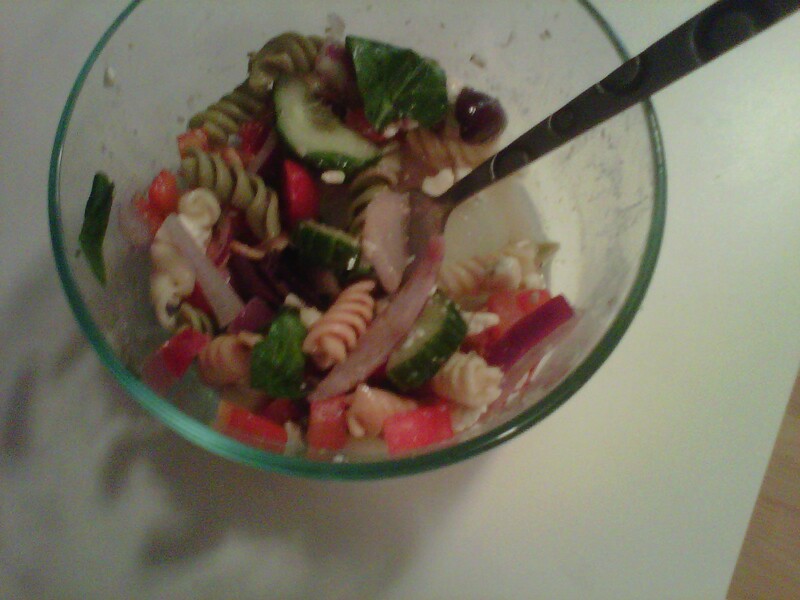 Both recipes were pretty lacking in veggies when I found them so I definitely used them as a starting point. 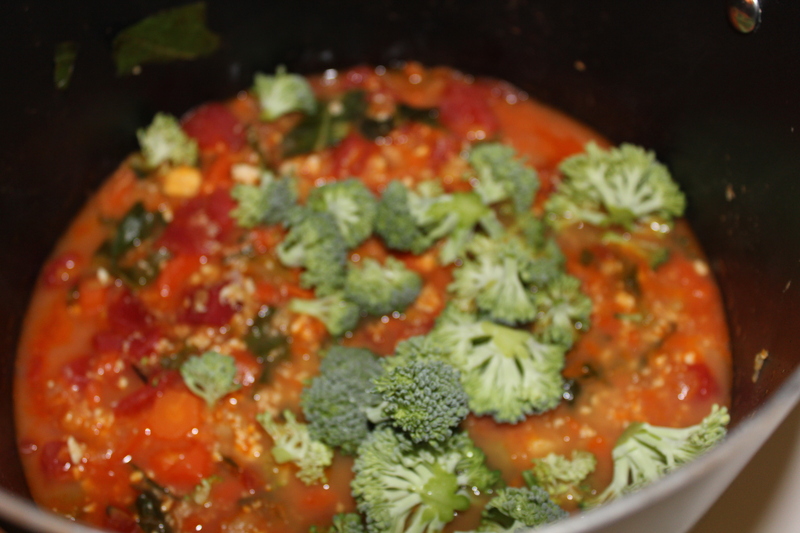 I added carrots and swiss chard to both recipes and broccoli to the chili. I really like ground turkey breast but my grocery store was out of it when I went shopping so I decided to try crumbling tofu into the turkey chili recipe instead. For the lentil and chickpea stew I cooked the carrots, onion, swiss chard and broccoli for a couple minutes until soft. Then I added the veggie broth, tomatoes and lentils to the mixture. I let it simmer for a bit to combine the ingredients and added a bunch of spices. Then the entire mixture went into my slow cooker for four hours. The one thing I did really different than the recipe is I soaked my lentils in water overnight to cut the cooking time in half…it’s a very simple trick to really save some time on cooking day! 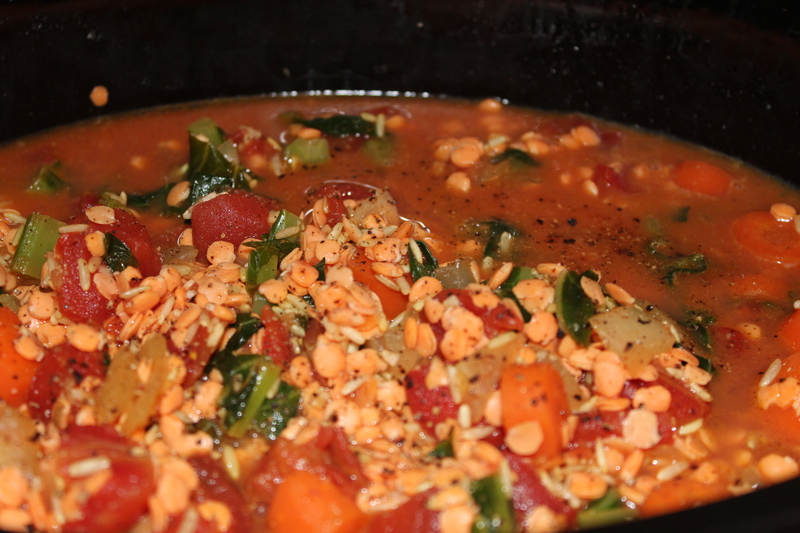 lentil/chickpea stew in the slow cooker! Towards the end of the four hours I added the chickpeas and some more seasonings to taste! The dish turned out really well and with the addition of the broccoli and swiss chard it will be a great lunch option for the week! The ingredients for this recipe cost a little more than ten dollars and I will be getting at least six meals out of it! I’m very excited for lunch this week! For the chili recipe I was very excited to replace the ground turkey with crumbled tofu and it turned out really well! 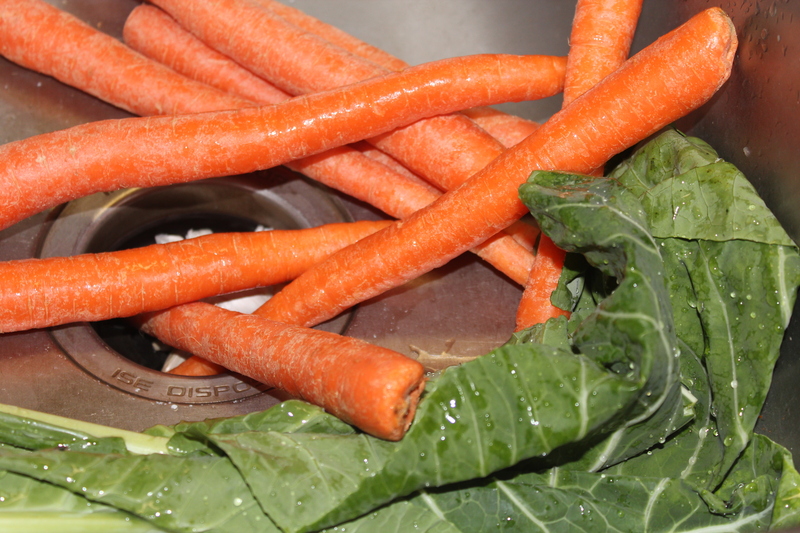 I also added the carrots, swiss chard and broccoli, which really adds to the flavor and heartiness of the recipe! The flavors are so good in this recipe that I’m looking forward to trying it with the turkey instead of the tofu. 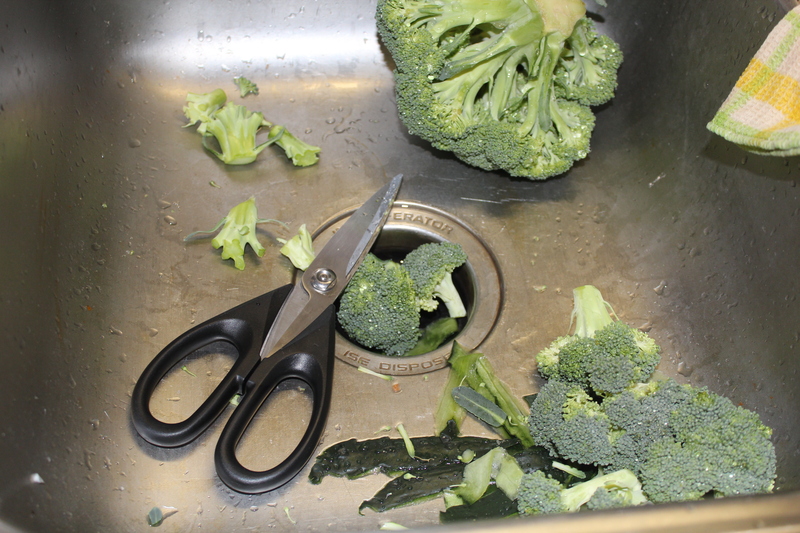 When prepping broccoli the best tool to use is your kitchen shears. It is really easy to slip and cut yourself because of the odd angles you have to cut at when trying to chop up a head of broccoli. I usually buy my broccoli from the bulk bin to get exactly the amount I need and not a full head of broccoli. The smaller chunks are also easier to prep. 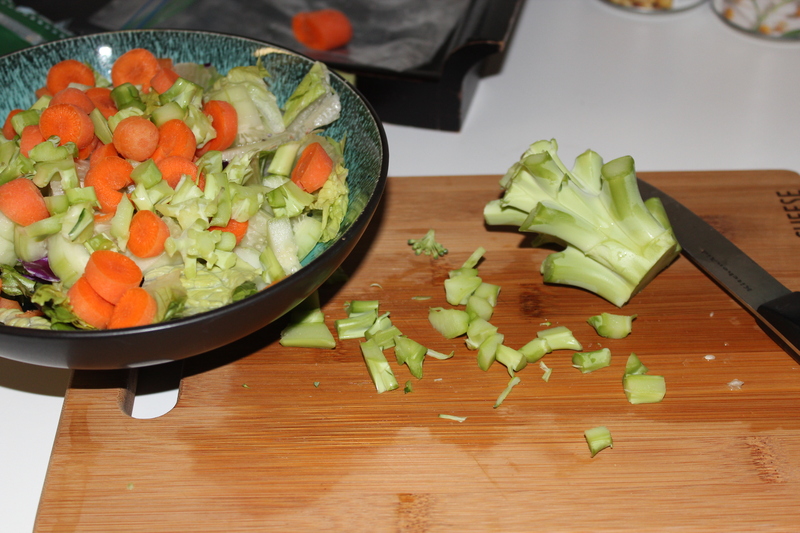 The kitchen shears give you a lot of control and they make it easier to cut the broccoli into really tiny chunks or bigger pieces. When prepping broccoli don’t throw away the stalks. The stalks have a really great broccoli flavor and awesome crunch which makes them a perfect addition to any salad. Most grocery stores sell “broccoli slaw,” which is basically shredded pieces of the stalk. So save your broccoli stalks and make your own slaw! You could shred the stalks to make actual slaw but I just chopped it up into pieces and dropped it on to my salad! The stalks stay fresh a lot longer than the florets so save them for when your a little low on fresh veggies. These tips can also be used for cauliflower!